Singapore’s reputation for being a one of the best in medical care extends to its dental care. The country’s dental clinics have been attracting patients worldwide because of their top-notch facilities and services. In 2004, the Singapore Health Ministry established the Dental Specialists Accreditation Board (DSAB) to regulate and administer certain criteria for specialist dental practitioners. The DSAB currently recognises the speciality areas of endodontics, oral and maxillofacial surgery, paediatric surgery, periodontics, and prosthodontics. Many dental clinics can be found at government hospitals. These clinics provide specialist services through referrals from other clinics. There are also a number of private dental clinics in the business district, shopping malls, medical centres and district community centres. Dental fees for government and private dental clinics have fixed rates, depending on some factors. However, one must expect a considerably higher fee for more complex procedures. To give you an idea, capping will usually cost you around S$500 per unit, while implants usually cost around S$1500. 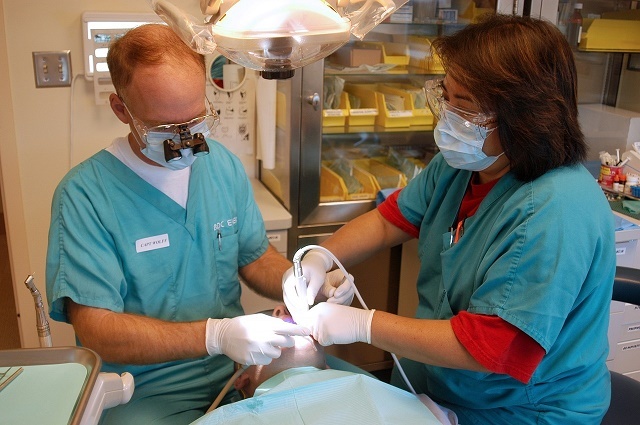 It is best to get international health insurance to cover complex dental treatment. Whatever reason you may have for visiting the dentist, it is important to keep in mind that the quality of service only extends to licensed dentists.